“Which I didn’t know was a date,” said Sarah. Four years later, this is still a staple in the story of Nick Bacarella and Sarah Abbott Ladner’s relationship. And as they stumble over the history of their courtship — comfortably interrupting or correcting each other — one could have easily assumed that they had been together for four decades, not four years. Bacarella hails from New Jersey; Ladner, Minnesota. Far from their homes and families, Bacarella somewhat attributes their quick coupling to the fact that each sought companionship. But, he says, there was also something else: something indescribable and palpable at once. To find a connection with another person that overrides one’s yearning for independence in college is astounding. And few other couples have managed to sustain a connection like Ladner and Bacarella’s. But those who have made the four-year journey contend that their relationship has been invaluable to their college experience. Rumspringa is an Amish concept that explains the period during which Amish teens are allowed to explore the world beyond their immediate community. Essentially, it is a trial period for debauchery. “I was waiting for that!” said Bacarella, laughing. “But in the end, that was never enough of a draw to end such a good thing,” said Ladner. Like Ladner and Bacarella, Benjamin Calder met Becca Medvin his freshman year, and the two have dated ever since. Medvin was in Clark Kerr Building 17; Calder, in 16. Medvin was an English major from Miami; Calder, a recruited football player from Houston. Medvin has a wide smile and bright-brown eyes that sort of match her hair. The two kindled a friendship that coasted along until Halloween of that year when, according to Medvin, it all started. When Sarah Graham and Jonathon Woo started dating in 2010, they were prepared for a challenge. 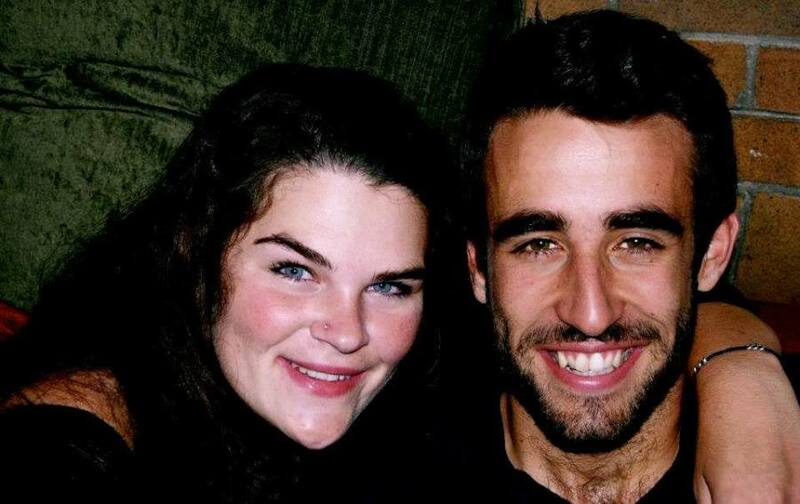 The two have always been long distance — Jon graduated from UC Irvine last year, and Sarah is a senior at UC Berkeley. “I still feel like the luckiest guy in the world,” said Woo. But as college comes to a close, each of the couples finds themselves at a crossroads. Next year, Bacarella is moving to Hong Kong for work. Ladner has yet to decide whether or not to accompany him. But the two don’t see her decision having too much clout on the future of their relationship — they figure that it’ll work somehow, some way. Calder is going to stay for another semester, and Medvin isn’t sure what she wants to do postcollege. Both Graham and Woo are starting new jobs in Los Angeles and moving back into their parents’ homes to save money. Eventually, they hope to live together. If college is a microcosm of young adults experimenting with life choices, then two people navigating their way to romantic love is a wonderful outcome of the process. Look around Berkeley and see the people running around looking to medicate their inflammatory loneliness and entangling themselves in the mess of emotions that accompanies attraction. Love is rapture; it is grist. It is compelling and consuming; it is biological and ineffable. And, for some, it can survive the UC Berkeley undergraduate experience.